Little things sometimes make a big difference when it comes to travel safety. Like a strategically placed zipper. Consider what happened to Aaron McHugh, who was recently exploring Glasgow, Scotland, after the last leg of a sea kayaking trip with his brother. “We were not familiar with where sketchy parts of the city might be,” he remembers. But halfway through a 14-mile, self-guided tour, the duo found themselves in Springburn, a neighborhood with a reputation for drug crime. McHugh suddenly felt vulnerable. He clutched his credit cards, passport and cash and quickened his pace, hoping to make it to a safer area without incident. That’s a familiar feeling to a lot of travelers, who are too often unprepared for threats to their safety. Just ask the professionals. In a recent survey of corporate travel managers — the executives who oversee companies’ travel departments — safety was ranked the top priority. The study, by European travel safety consultant BCD Travel, ranked security higher than efficiency, satisfaction and environmental and social impact. Fortunately, McHugh, a podcaster who lives in Colorado Springs, had prepared by dressing the part. He wore a pair of pickpocket-deterrent pants developed by a company called Bluff Works ($93). His cards and important paperwork were shielded in a zippered internal pocket. “That pocket gives me a lot more security and comfort than a pair of jeans or any other pant I own,” he says. As a decoy, he carried a messenger bag over his shoulder that he says screamed “Take me!” The Bluffs were his camouflage. He made it through Springburn without incident. A group of influential education organizations has stepped in to support a private prep school in its appeal against a former student, saying the case could have far-reaching negative effects on study abroad trips. Cara Munn suffered brain damage after she contracted viral encephalitis in 2007 from a tick bite she received while on a school trip to China with the Hotchkiss School. Last year, a Connecticut jury awarded Munn $41 million in damages, after agreeing with her family’s claims that the school had failed to take appropriate precautions and to get proper medical attention quickly enough. At Fletcher Maynard Academy, field trips have a whole different meaning. The school’s still got the traditional Plimoth Plantation and Museum of Science visits, but students also climb the Great Wall of China and go on zip lines through Costa Rica’s rainforest. The goal, school staff say, is to get children to act locally and think globally. For Harris, experiencing other cultures is just as important as traveling to the local fire station and the Boston Children’s Museum. Harris grew up traveling the world as a member of an Air Force family. Therefore, she was determined to provide those experiences to Cambridge’s youngest students when she joined Fletcher Maynard in 2000. She created the international traveling program in 2001, and since then, students have explored England, China, Italy, Mexico, Costa Rica, Dominican Republic, and, most recently, Senegal in the spring. They have also traveled throughout the country, stopping in New York City, Florida and Washington D.C., where they witnessed the inauguration of Barack Obama. Sitting in her office, near a sign that read, “Dare to dream big,” Harris felt excited about the upcoming trips to Puerto Rico in spring 2014 and India the following year, but she also expressed her concern about being able to raise the necessary funds to sponsor the trips. Not every family at Fletcher Maynard can afford trips overseas, which are often pricey. It will cost $1,000 per person to travel to Puerto Rico in the spring and even more for the trip to India, she said. But Harris is determined to provide the opportunity to every student, who obtains parental authorization, despite how much money they can contribute. More and more Greeks are moving to Germany to complete their university studies in the hope of improving their chances in the job market. Radical cuts continue to threaten the quality of teaching in Greece. 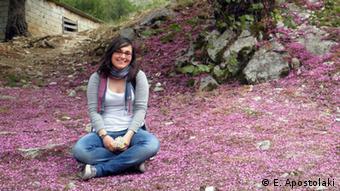 When Alexia Papaioannou decided to begin her studies in Germany, there was an outcry in Greece. “The best of the best emigrate,” said the Greek newspaper “Kathimerini.” From Athens, 18-year-old Alexia achieved the highest score in Greece’s nationwide university entrance exam, has now been studying law in Heidelberg for a year. Despite the quality of degrees in their homeland, an increasing number of Greek students are moving abroad to study. 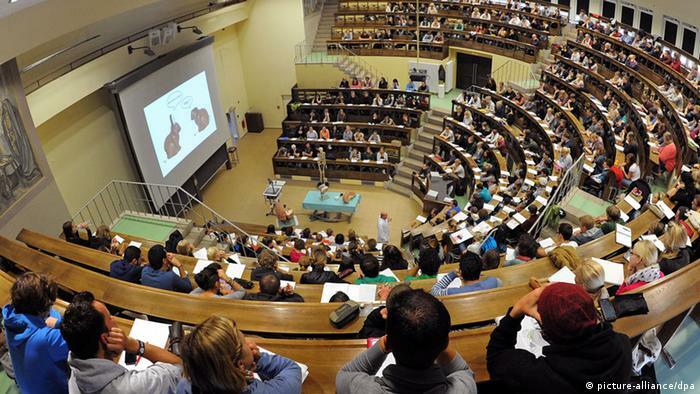 In Germany alone, between 2012 and 2013, the number of Greek students rose by 13 percent. In 2012, Germany’s Federal Statistical Office totaled almost 6,000 Greek students, of which more than 1,100 had directly begun their studies in Germany. After graduating with a Bachelor’s degree from the Department of Foreign Languages and Translation at the University of Ionischen in Corfu, Elena Apostolaki decided to no longer study in Greece. She successfully applied to study a Master’s degree in North American Studies in English at the University of Bonn. “For me the ‘brain drain’ is only half of the truth, because many of my friends have stayed in Greece and are struggling,” said Apostolaki. “My goal is to get a Ph.D. position in Berlin, to work a few years in Germany and then go back again.” But the 27-year-old said she was unsure whether the Greek job market will ease in the coming years. According to Eurostat, the unemployment rate in the crisis-torn country currently stands at 27 percent. “For the past four to five years, young Greeks have been studying abroad earlier and earlier, in the hope that they’ll find work faster and easier afterwards. My children are also in Germany,” said sociology professor Skevos Papaioannou. . . . .
A small little guide for the average college student on saving while they travel. Gary Chen’s new book, “A Cheap Ticket for Student Travel” is a great, yet short, read for college/low income students interested in traveling (especially traveling abroad). At only 23 pages (in PDF form), you can read through it pretty quickly, but it offers some great insights into how you can travel even on a college student’s budget. He opens with a pretty strong argument for traveling while you’re young ~ time, energy, and lack of ties. This is something I wish a lot more students would keep in mind; by the time you have jobs, families, and other demands on your time and attention, traveling becomes less and less of a likelihood. Since traveling can significantly add to both your accomplishments and the broadening of your experience, taking that awesome trip now is a pretty good idea. Most of his advice officially starts in Chapter two, where he begins with the important saving tool – Planning. This carries through the next two chapters during which he discusses how even little things like grouping nearby locations together can save money on costs. Chapter 5 is where he really gets into precise methods of saving as opposed to more general recommendations. He also has a really great form on pages 17-18 that helps you list out your expected expenses and likely total. I think filling this out is a great way of reminding yourself precisely how much this might cost you and what you need to save. 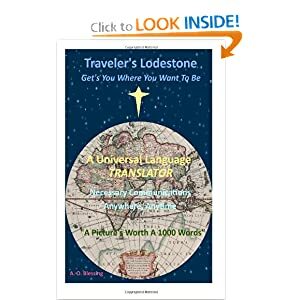 Throughout the book, he offers some great means of saving and I like the main message he communicates — traveling doesn’t have to ruin you financially! Writing style: Some of the writing could use some editing and there were a few choppy areas, but overall I found it to be a quick and easy read. A great addition to the ebook is the number of internal links Chen offers his readers–he frequently links to relevant and interesting articles relating to the subject of discussion. Particularly helpful are the links to discount sites and saving tools; I might even use a few of these! 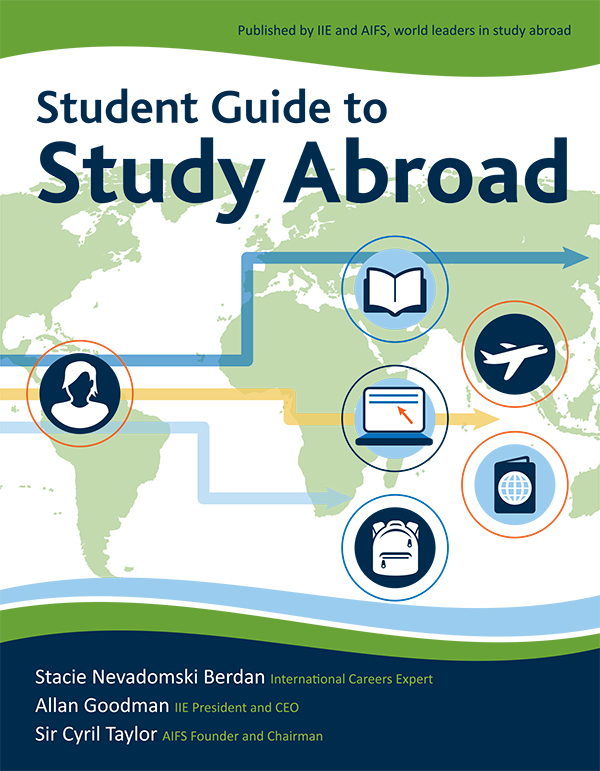 Studying abroad is often encouraged at universities, but not to all students. Oftentimes, students with disabilities have a harder time organizing a trip abroad than their peers do. Juanita Lillie, a senior at Grand Valley State University who is legally blind, is working to change that. About a month ago, Lillie started researching study abroad opportunities for other students with disabilities. She found that there wasn’t a lot of information available on the topic so she decided to create her own site for students. Lillie created the Facebook page “Abroad with Disabilities” to encourage more universities to have more inclusivity. The page can be found at www.facebook.com/DisabledStudentsAbroad. She hopes the page will raise awareness at universities and increase recruitment, training and faculty advising for students with disabilities to study abroad. She added that she hopes this project expands to other universities so that more students can access study abroad. She emphasized that it needs to be more diverse and inclusive of other disabilities, such as colorblindness and dyslexia. Natalie Gomez, a GVSU Spanish professor and a friend of Lillie, also has a disability and traveled to Costa Rica. She met Lillie in their Spanish 410 class last fall and shared the idea to start researching study abroad for students with disabilities. The pair has been collaborating on the project since then. The pair will be attending the . . . .